Manufactured by Limonaire Freres in Waldkirch, Germany. Contains ranks of pipes, xylophone, wood blocks, drums, and cymbal. 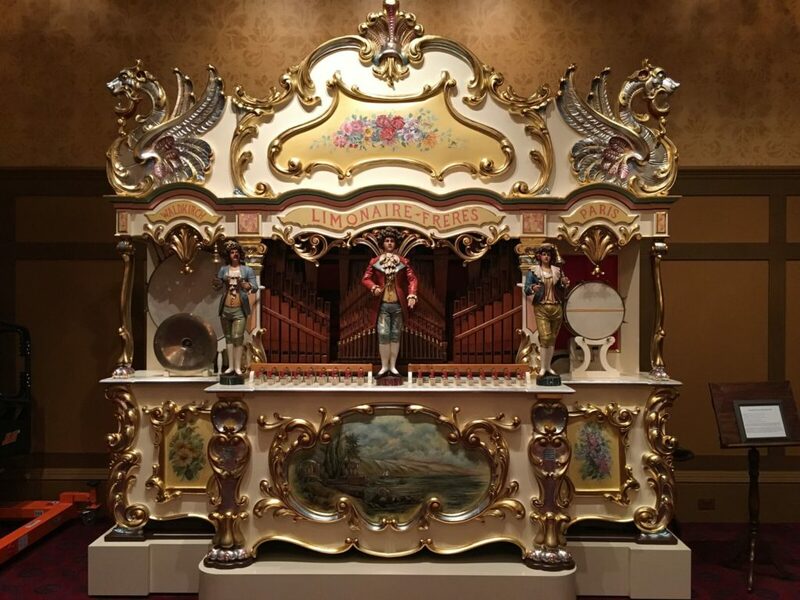 Large Limonaire organs were voiced for outdoor venues, and have a loud but sweet tone for fairs and amusement park rides. This organ was an incomplete Gavioli instrument when the sale of the Gavioli factory to Limonaire Freres took place.